We have been blessed the past two weeks with visiting friends, some “old” and some “new”. Thank you Darrell, Cindy and Beth for including us in your travels. “Old” friends from Boise (duration- not age! ), Darrell and Cindy, made reservations right away when they heard we were going to host at Farragut. (That gave us 9 months to look forward to it!) As long time RVing partners, we spent a week in Farragut 9 years ago and had a great time. This time they stayed for almost two weeks, their longest vacation ever. It is so comfortable to hang with friends who know you to your core. 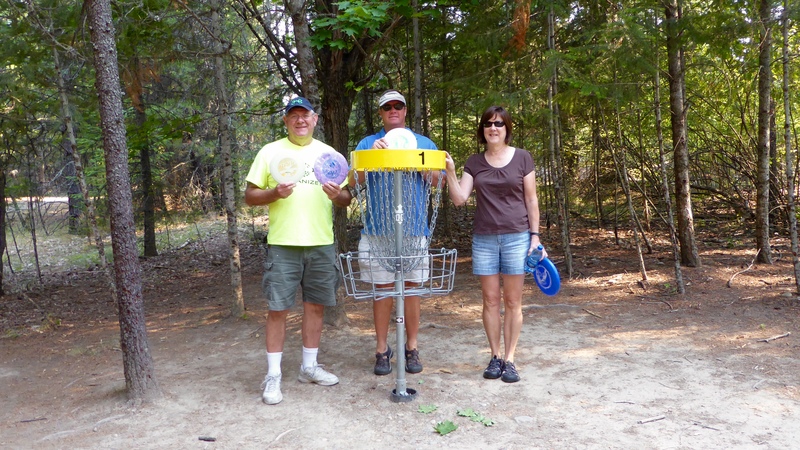 We revisited some places and things we had done before – like playing disc golf. 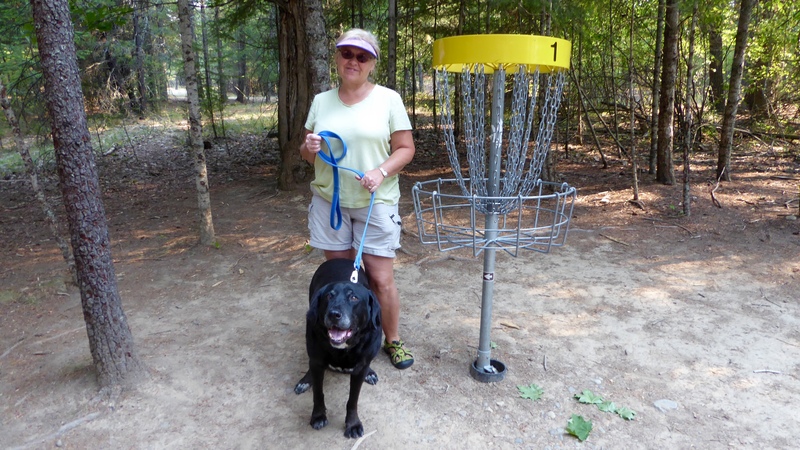 Darrell and Randy took turns playing my purple disc as I walked with Elko, and I have never played so well! Part way through, they decided to play it as a golf “scramble” meaning everyone throws and the group picks the best shot, then everyone throws from there and on and on. (I don’t know why that format is called a scramble and not best ball.) That was such a fun way to play that a couple days later we went back and played one of the harder courses. 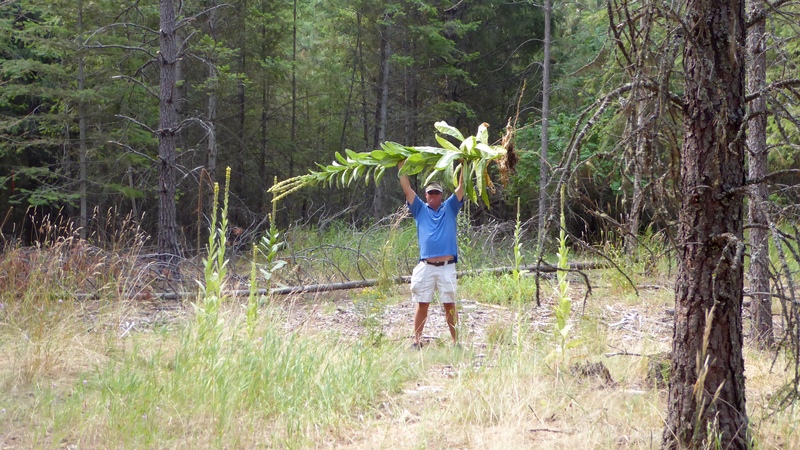 When we volunteered in Oregon, we were asked to uproot these noxious weeds, so we continue to do so here around the park. The disc golf course had some doozies! This belongs here, doesn’t it? 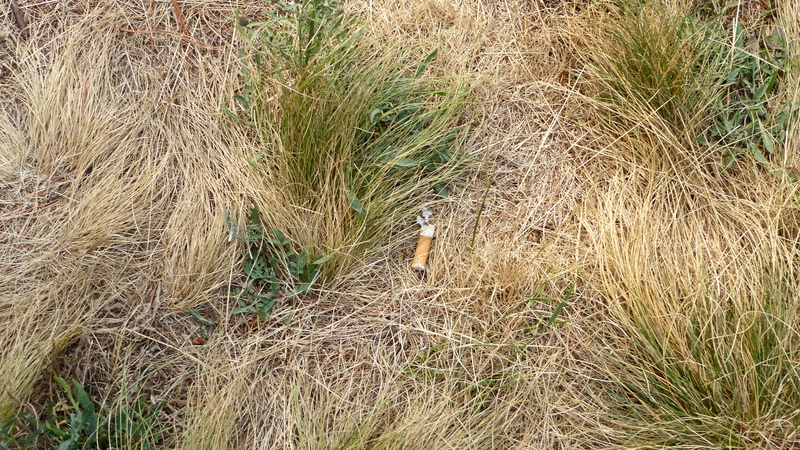 We also saw a lot of cigarette butts on the disc golf course, in the grass, in the drought, in the Stage II Fire Alert. It drove us crazy so we went back through the course on a trash run the next day. 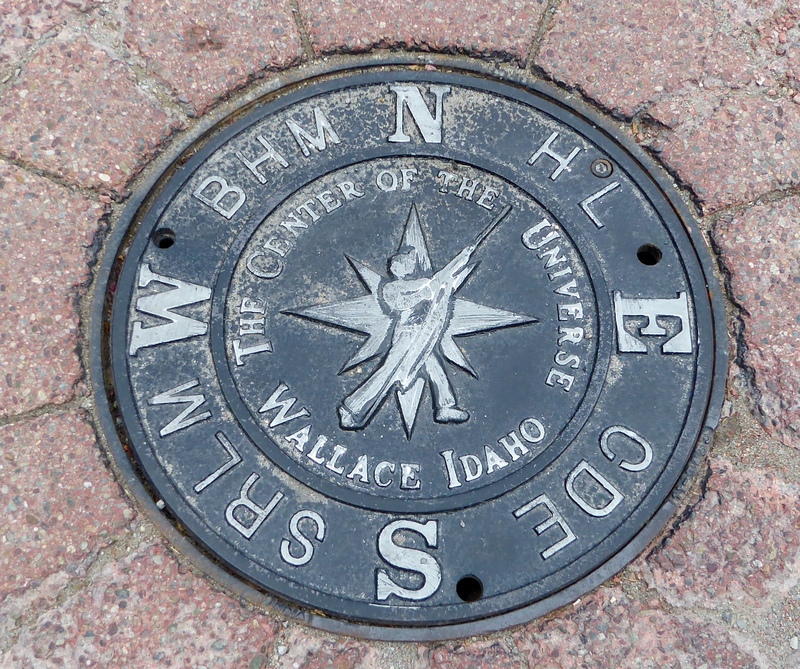 Another day we drove into Wallace, Idaho – the mayor proclaimed “Center of the Universe.” Supposedly no one has bothered to dispute his claim. 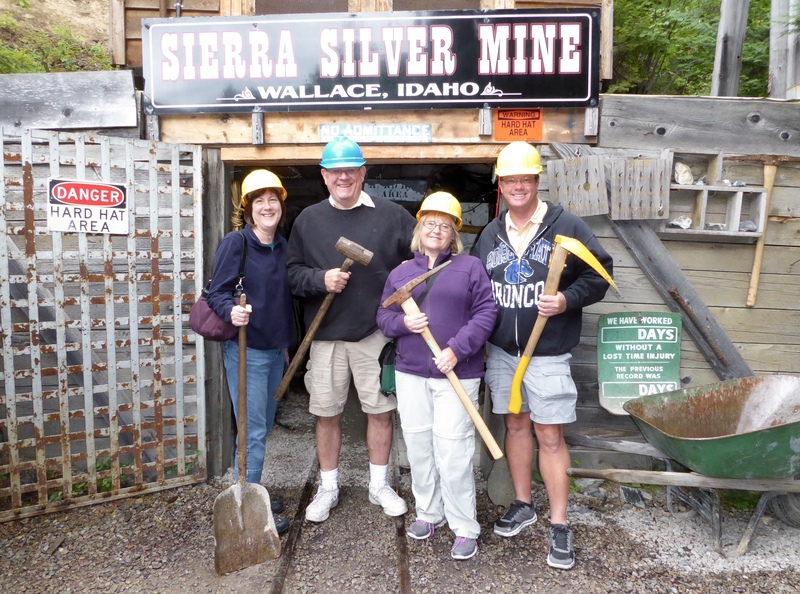 We enjoyed the Sierra Silver Mine Tour which begins with a trolley ride and brief history of Wallace. Wallace was very nearly destroyed in the Big Burn of 1910 and some miners survived the devastation only because they stayed within a mine. Also, due to the mining operations, there were more millionaires in Wallace, Idaho in the 1920s than anywhere else in our country. Twenty percent of the world’s silver was mined from the Silver Valley in Northern Idaho yet the Sierra Silver Mine was never profitable. It was too shallow for the silver vein and other groups “under-mined” it – mine tour humor. While silver mining throughout the region remained profitable, the local high school utilized the Sierra Mine for an elective class to help train future miners. 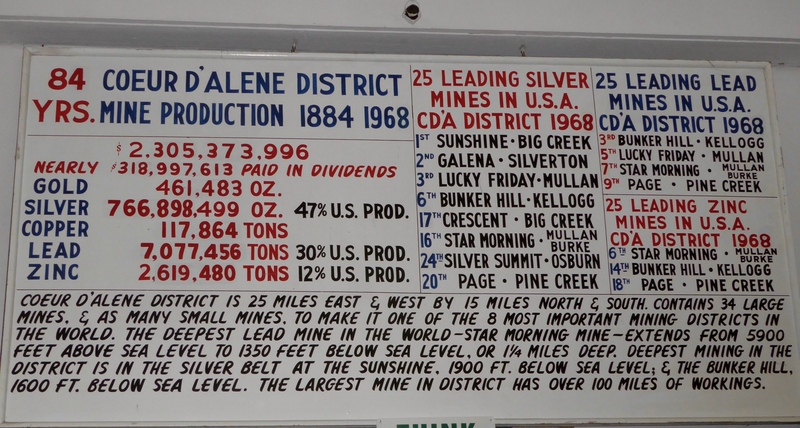 When silver mining became less profitable, the town of Wallace supported the idea of using the same Sierra Mine as a tour location. One of the worst mining disasters in the US occurred at the Sunshine Mine between Wallace and Kellogg, Idaho. In 1972, 91 miners were killed when a fire broke out within the mine. 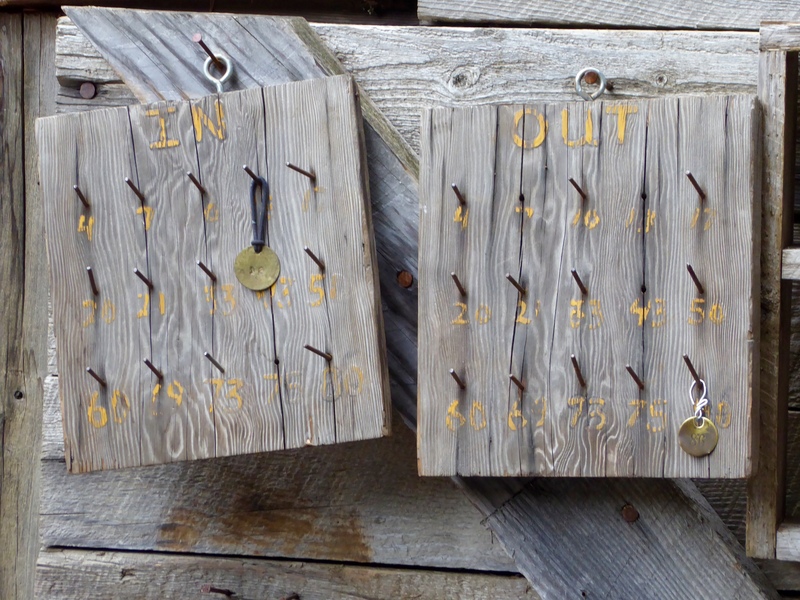 The tour guide told us about changes in equipment and procedures in mining as a result of that tragedy, including this simple “in and out” board so people know who is within – something that was problematic during the Sunshine Mine rescue efforts. Who is in the mine? In the middle of enjoying our “old” friends from Boise, our “new” friend, Beth, came to visit for a couple days on her drive towards Michigan. We met her in Tucson in February and connected again on the Oregon Coast in June. It was so nice to see her once more. Friendships need to be very intentional on the road and we appreciate that she came through this way. 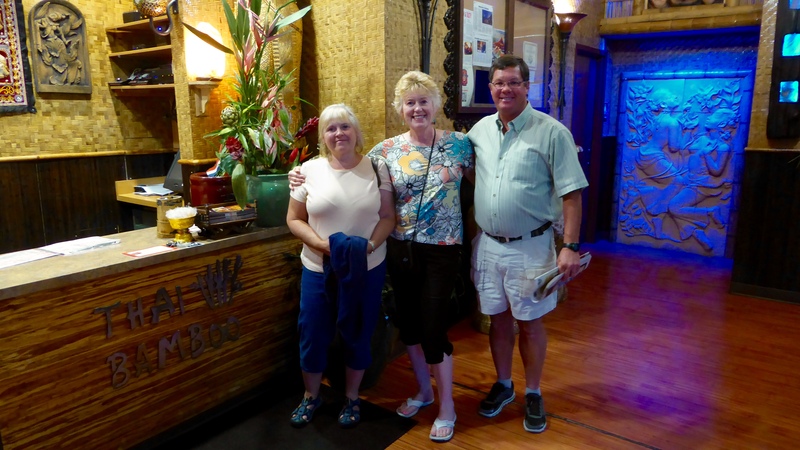 The three of us enjoyed catching up and eating dinner at a local Thai Restaurant. 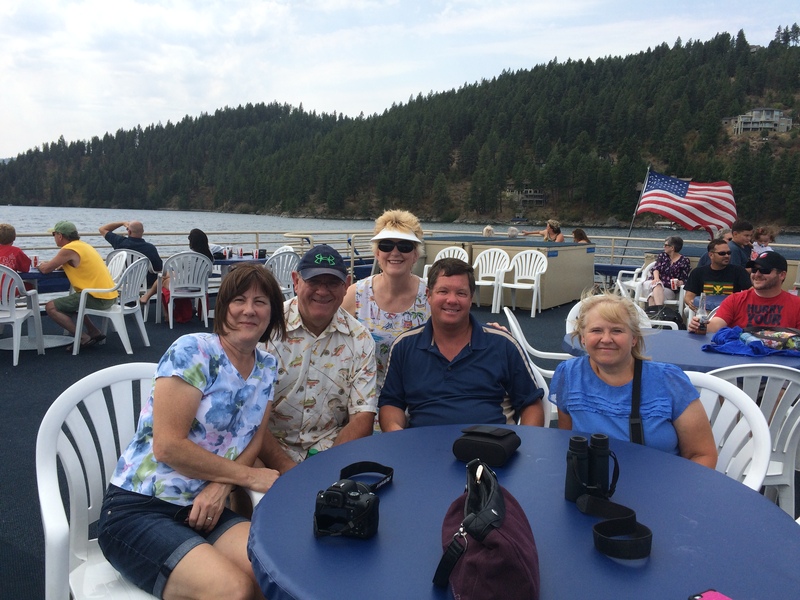 The five of us enjoyed a cruise on Lake Coeur d’Alene, Idaho’s second largest lake. This activity marked a first for Randy and me – the first time we have ever been able to take advantage of a senior discount. We are not sure that is a good thing! 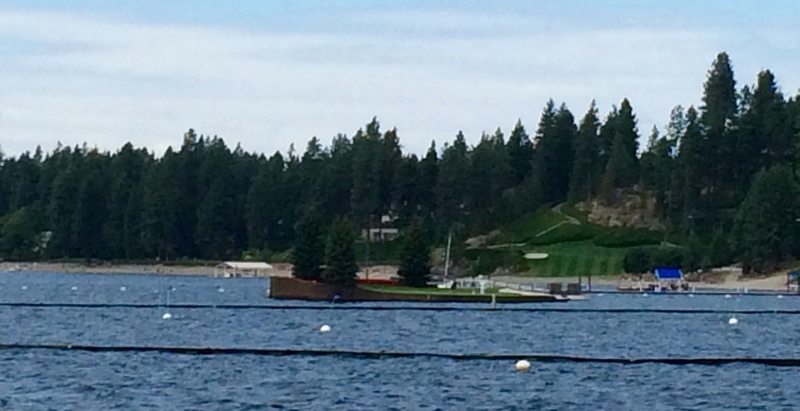 We saw BIG houses and the famous Floating Green at the Coeur d’Alene Resort. The length of the 14th hole changes from 75 – 175 yards depending on where the green is located. A golfer gets two tries and then travels to the green on a boat called The Putter. In keeping with the “Something Old, Something New” theme….we still have our old fire, and, unfortunately, we now have a new one. The Cape Horn fire, burning since July 5th is considered “contained” but will likely smolder and burn until the snows come. 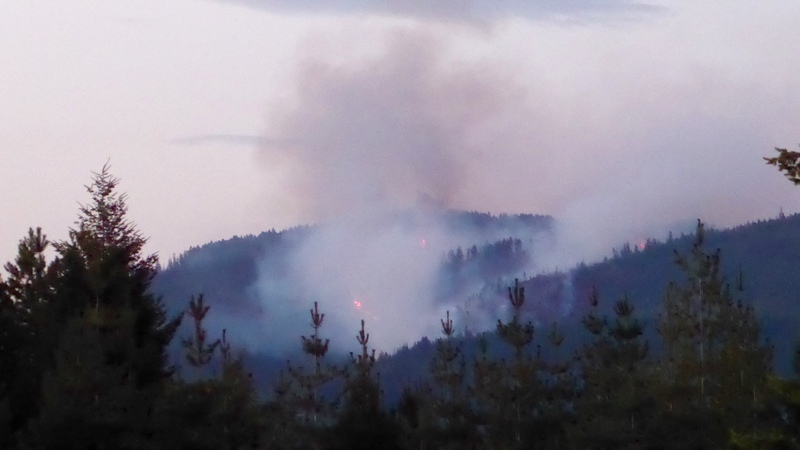 Our new fire, The Three Sister’s Fire, began August 4th and burned about 300 acres but is now diminishing. Utilizing about 300 fire fighters, it is considered 60 percent contained. 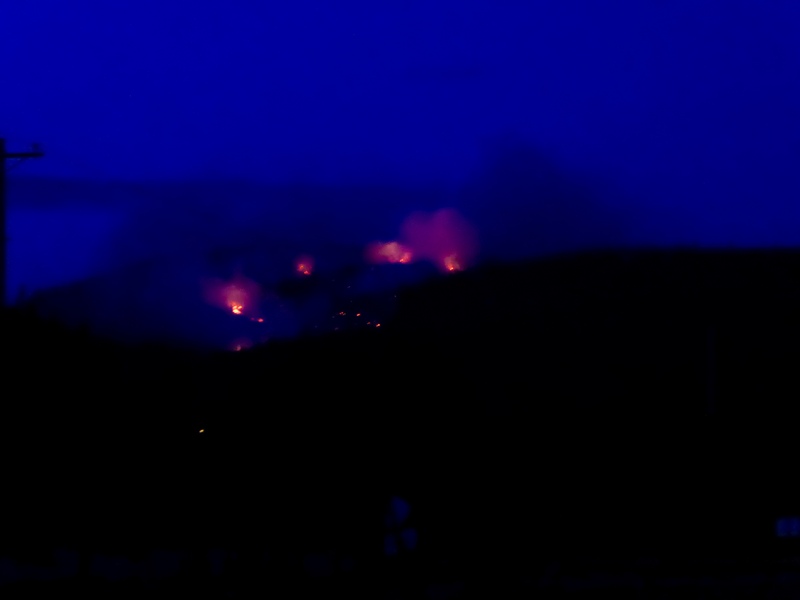 Darrell, Cindy, Randy, Elko and I took nightly walks to places where we could observe the smoke and flames. Unlike the old fire, the new one has not threatened the park. 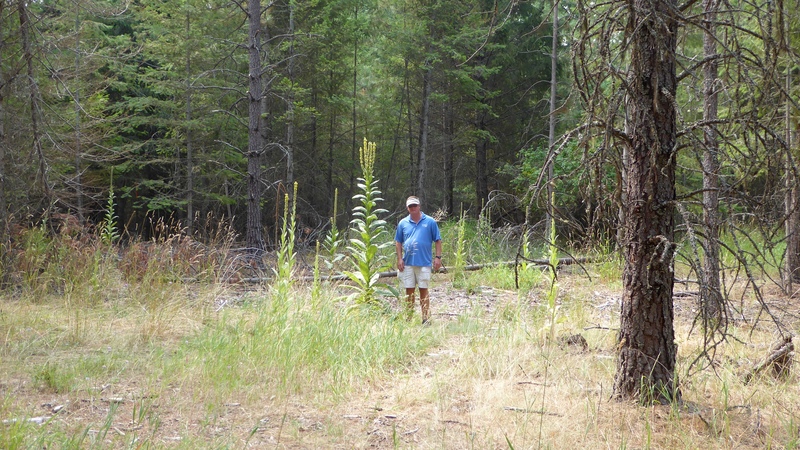 Except for the fire restrictions, fire camp and heli-base, life here at Farragut goes on as normal. All is well.